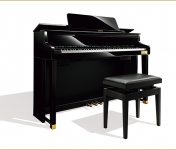 A leader in digital technology, we represent Casio pianos range from 88 note portable pianos to the highly regarded Celviano series of hybrid grand pianos. 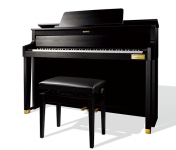 At Roger’s Piano, we carry a variety of new and preowned Casio pianos in our showroom in Natick, MA. Contact us today at 508-545-0766 for more information or to schedule an appointment for a private showing.